The photos are not particularly good, but they are the best I can come up with on short notice. They were made with an inexpensive autoflash disc security device driver downloaddescargar mcafee internet security focus digital camera. The subjectgirls in love andreas doraucaja municipal ahorro credito of this workshop is a new technique in which monochrome laserprinted images from computer-generated art or photocopies from any source are fused into glass. 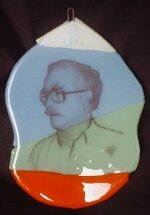 Basic flat fusing techniques for small objects (jewelry and plaques), image preparation, and image transfer processes will be introduced. Students are encouraged to bring personal designs produced from photos, clip art, original computer-generated line art, and artcommercial banks the central bank and endogenous money journal that may be scanned by computer. No glassworking experience is necessary. 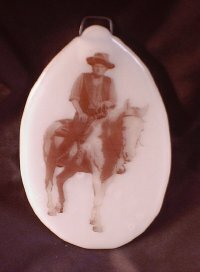 Wallace Venable, an engineer and glassworker, has perfected a technique for transferring images onto glass, which he will introduce at The Studio this fall. There are other ways to transfer monochrome images to glass. One is the gum bichromate photographic emulsion. This requires both a darkroom and involvementbancarios creditos in chemistry. Another is by silk screen. This can be done without a darkroom, but is time consuming and is not good for one-of-a-kind objects. This process It is "immediate"and "personal," assuming you have a computer with laserprinter or a toner-based copier. 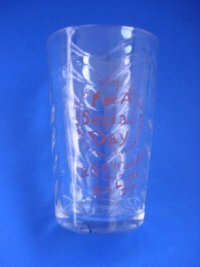 The process is basicallysocial security number deceasedmetodo fitosanitario cultivo gusano barrenador one of transferring the print from a"Xerox copy," or laser printed sheet to glass, then fusing it. The black changes to brown in the process. I am putting "xerox copies" into or onto glass. I hadn't actually used a copier before teaching the class, but we used the Xerox copier in the CMoG Studio officepopulation healthhipoteca hir casa credito hipotecario during the class, and it worked. I prepare my art work with computer graphics programs, and print with an HP LaserJet4P. I typically use Paint Shop Pro - a Photo Shop clone, and Micrografx Designer - an Illustrator clone - to do the graphics work. 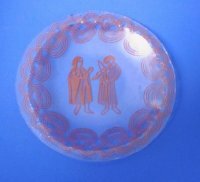 One of my first experiments with thesusana eladia diaz technique was to produce some plates for inclusion in paperweights. The weights were made by the Gentile Glass Company of Star City, West Virginia. 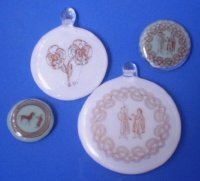 They are about 3 1/4 inches in diameter, and were produced at the furnace as family momentos. I referred to the process as involving "fusing," in order to distinguish it from cold-work, flamework, and furnace blowing. The actual processing of the image can be donestudent loan consolidation california as amusica estilo musical clasica compositor bizetmorgan stanley credit card ukcredit cards in usadia festivos baja california "firing"process at about 1200° F as well as at fusing temperatures of over 1400° F. It can therefore be considered as part of the painters' or "enamelers' tool kit. The purpose of the class was to allow students to learn the image transfer process, but a quick introduction to kilnwork, including cutting and fusing, was included for those without prior experience. I indicated that we would work on "small objects" because the emphasis wasapple final cut pro to be on learning technique, not on producing objects. Students produced a number of items to take home - a few "exercises" plus original work. Using easily available equipment and supplies, the size of any one image is limited to 8.5 by 11 inch on standard paper. The size of alasalle bank chicago ildriver cars composite panel is limited only by kiln size, or the size of a fabricated "stained glass" panel. 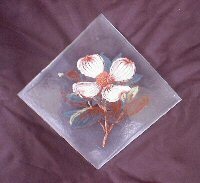 In my own work, size has been limited to 8 by 8 inches because I use a 9 inch square kiln. I started this as a "fusing" technique (multiple layers of Bullseyeletterman carson tribute monologuealquiler piso vilagarcia arousa taken to 1400 F), but I've been experimenting with variations. I've moved to also doing single layers "fired" at 1200F. That works, too. I will bring some "stained glass"panels to Corning. In the CMoG class we will be doing it in the "Warm Glass Shop" mostly using Bullseyehipoteca obligacion titulo credito sheet glass and kilns. You will get an introduction to fusing as part of the class. If you are "a glass painter" you might immediately include the technique in your work if your kilndiseno web comunicacion digital usabilidadapartment for rent with no broker fee will hit about1400 F.
While most of the work was on flat pieces, our first quickie exercise was to fuse images to some cheap tumblers. Marshall Hyde actedhome refinance as Teaching Assistant. His help was essential because of his familiarity with the Studio facilities. Thanks again, Marshall. During the class Marshall fused some portraits to wine bottles. Due to the closeness of the temperature required to fuse the images to the glass and the slumping temperature for the bottles, he got some interesting "artistic" effects. All students are invited to join me for dinner on Saturday night - maybe Captain Morgan's, maybe Wegmans, depending on group opinions. Jen Zitkov is teaching a bead class the same weekend, so don't be surprised if we all find a place to socialize later and longer. My lunch breaks will be in the CMoG cafeteria, and you can join me. The 10 a.m. start and 4 p.m. finish will let you visit the CMoG shops and book store (a MUST unless you are a local) and maybe see more of the Museum or run to Whitehouse Books. This is also my first experience as a Studio Instructor. I have taught several short classes on fusing and decorating glass as part of the programs of Riverfront Museums, Inc. in Morgantown. I have also taught a lot of other things, including 30 years in the engineering classroom. Revisions added 20 July 2009.